the next Vision of the Future post will be a little bit slimier. Notice it's not in bold, and so it's not a canon/legends class of ship for them. This is one of those times where they're taking liberties like with the EOTH ships. 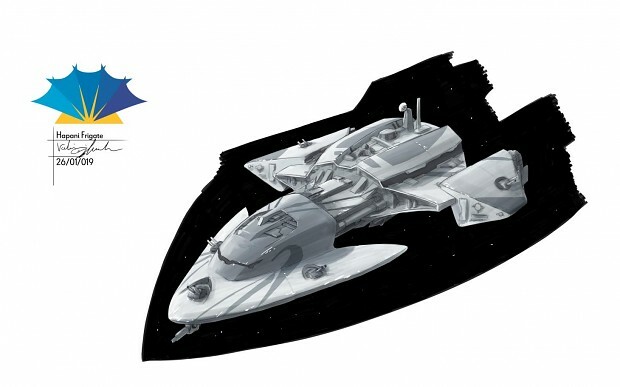 Unlike EOTH, it's never stated anywhere that the Hapans had anything AGAINST dreadnought-level ships (which is stated multiple times for Thrawn), and so they've given them a dreadnought. The Accretion will be their version of a Dreadnought, however it will be somewhere between Praetor and Bellator as opposed to being closer to the Executor's size. hmmmm *hears mention of large death ship* what is this Acceretion you speaketh of? Hapans! I'm looking forward to them, alright. I can foresee much ignoring the Hapans in your future then, since I REALLY doubt that there's going to be ANY triangles!! so excited for this!! 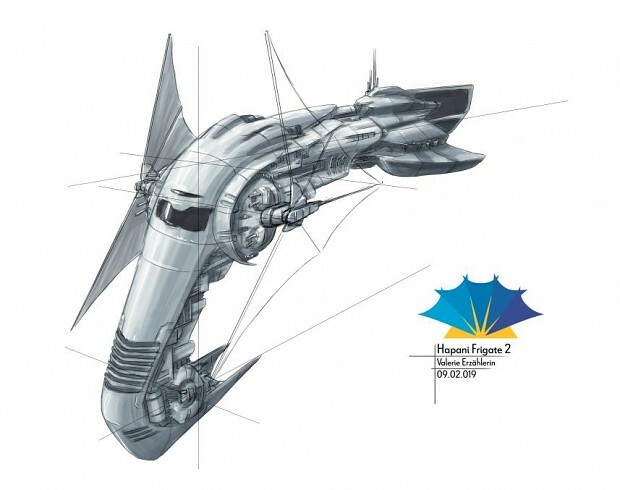 Hapan warships are beautiful, but there are so few canon ones, but the concept art already drawn up for these looks incredible. I'm right here. Of course you have my permission to get in touch with me through any medium you wish to. All the information is in my forum profile and you can find me on the CL/TR discord under "Valerie Erzählerin". Message away! With Valerie's permission, might it be possible to message her? I've been thrashing out some Vagaari design concepts, and I wondered if she might be interested in discussing them. Her designs are so professional looking, I'd be extremely eager to hear her ideas on such things. I think it will be more like a battlecruiser than an SSD. If i recall correctly, the tier 4 shipyards will hold warships of the battlecruiser and SSD caliber. I dont think the Hapans actually had an SSD, but I could be wrong. In the first of our Vision of the Future series of updates where we're taking a look at what's to come for the mod in the long term, we talked about plans surrounding the Unknown Regions in Imperial Civil War, which you can check out here. 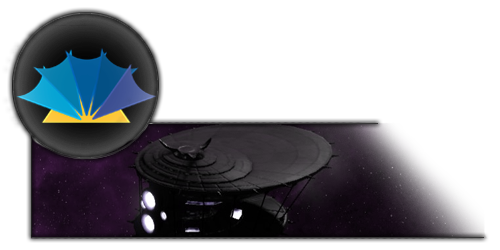 While this update series is primarily focused on Imperial Civil War, today we'll be talking about the next playable faction coming to both Imperial Civil War and Ascendancy, our mod for Sins of a Solar Empire, the Hapes Consortium. The Hapans were announced quite some time ago as the next playable faction coming to Ascendancy, but I don't believe we've officially announced them as a forthcoming playable faction in Imperial Civil War, so we wanted to take this opportunity to do that, talk about how they're going to work, and show off what's been underway to flesh them out. 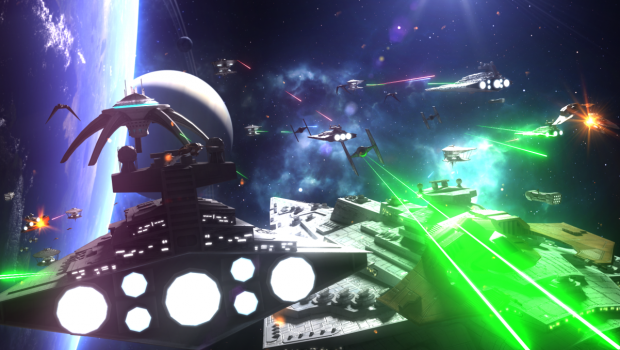 While the Hapans didn't play a huge role in a lot of the Galactic/Imperial Civil War, one of the broader goals with Imperial Civil War as a mod has been, with the era-progressive maps, to represent the galaxy as well as the engine will allow and give players the opportunity to play whichever groups the number of faction slots available in Empire at War allow, even if they may not have had the best chances of galactic conquest themselves (similar to how you can play smaller groups or countries in Total War or Paradox games). Because we only have so many slots to work with before the game starts complaining, we're trying to focus on future additions being as unique as they can as opposed to piling on other factions which are essentially Imperial shipsets under a new name, which will usually still be represented on appropriate planets along with some of the other small groups under the amalgamated Independent Forces label. Unfortunately, the Duskhan League (Yevetha) as the 6th faction which primarily relies on Imperial vessels and as the least interesting of those groups currently in the mod will be moved from its current playable faction status to a part of the Independent Forces as of 2.3 with the addition of the Corporate Sector Authority, allowing their slot to be used for other more unique factions down the line. The Hapans, for their part, provide a few interesting challenges with development. 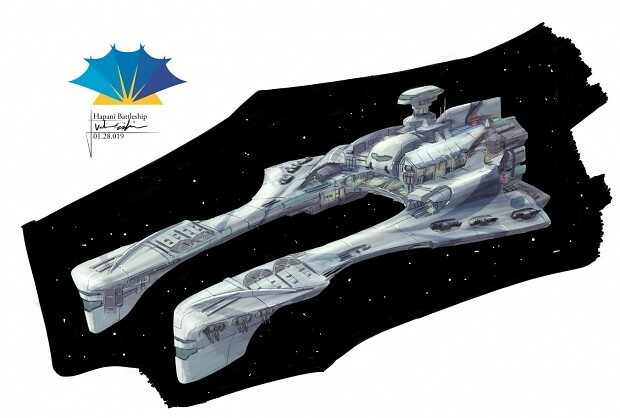 While there are other ships that get named in later books (for example the Star Home, Stella Frigate and Beta Cruiser), and while the Hapan fleet is described by Isolder as including thousands of ships, only the iconic Battledragon, Nova Cruiser, and Miy'til Fighter and Bomber ever get depicted properly in Legends along with their mobile palace, the Star Home. Rather than keep them on such a restricted unit list, we're fleshing them out much like we've done with the Empire of the Hand, taking the approach that Battle Dragon also serves as a designation similar to "Star Destroyer" for the Empire, so there would be varying types of Battle Dragons in service to the Hapan fleet, with the standard Battle Dragon now called the Hapes-class Battle Dragon. While we finish the 2.3 content and Corporate Sector Authority units an old team member, Valerie, who originally designed our Chaf Frigate over a decade ago, has rejoined and has already made significant progress designing new Hapan units for the mod, four of which you can see here: the Miy'til Interceptor, Magnetar-class Battle Dragon, Flare-class Corvette, and Beta-class Cruiser. If you click on any of the images, it'll bring you to the ModDB image gallery with a description of the unit. "Hapani ships, architecture, and styles of dress are all opulent and rich. In the Star Wars mythos, they often emphasize the fantasy elements over the science-fictional ones. It's such a joy designing these. I drew heavily from their sister world of Naboo (both Theed and the Gungans) and the left over technology of the CIS starships. I also wanted to make sure each ship could feel like it had been in service for generations due to their isolation. We had a handful of existing ships to base the designs around and jump off from. The Battle Dragon is very much an open clam shell (think Venus coming out of the water). Smaller starships, like the Miy'til and even the Nova, are closer to water fowl in shape. 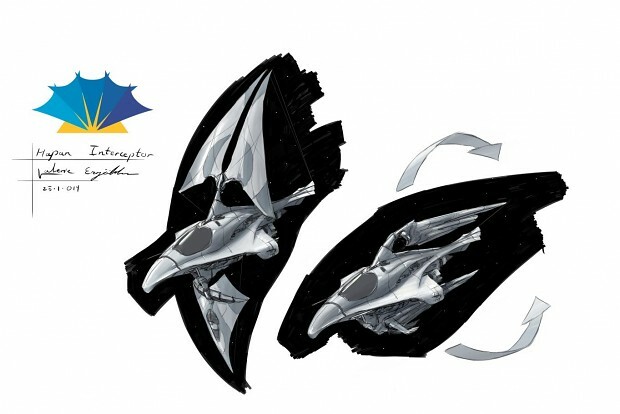 Using these observations, I developed a design principle that the larger ships would resemble sea creatures with the other side of the spectrum being closer to birds. The big challenge with the Hapani has been, without a doubt, the balancing act between the eloquence of organic sea life, and the beautiful jury-rigged combinations of CIS technology with their heirloom-like warships. It's been a blast designing them and I'm certain your enjoyment of what we have in store with the Hapans will be a fact." Bold indicates it's a canon class, otherwise it's a class we're designing from scratch. Much like the CSA, the Hapans will be a smaller faction with a more limited hero pool especially, so while they will hopefully get some smaller GCs where they're at less of a disadvantage against larger powers, in the era-progressives they're likely to face a fair bit of an uphill battle, although like with all factions in skirmish and Ascendancy (where you're not trying to represent a specific galactic situation), when starting from an even footing, we aim for them to be as balanced as possible. We're also hoping, both with them and other factions, to continue working our way into each faction providing unique mechanics and playstyles both with their ships and with galactic management, which is something we'll hopefully also start talking about with 2.4.